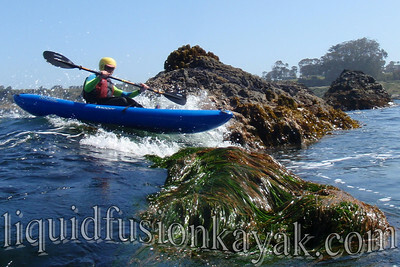 Liquid Fusion Kayaking: "No Name"
"No Name" is one of our favorite rock garden features in Fort Bragg's Noyo Bay. Why is it called No Name? Well it is one of our favorite play spots so it needs a name, but we really haven't settled on one. Our rock garden features are often named for carnage like Angie's Angst, Nick's Nightmare, Brindle's Bash or other distinguishing features like the Two Towers, The Canyon, First Rock, Sinkhole Cave, Keyhole Cave. No Name has had minimal carnage but a lot of fun. 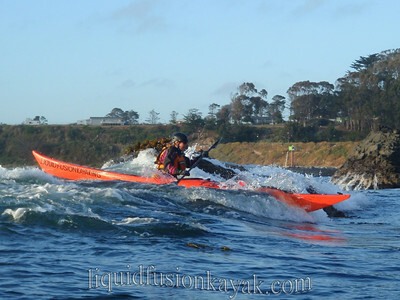 Beginners have ridden their first ride on No Name and seasoned paddlers have experienced some of their biggest rides on No Name. 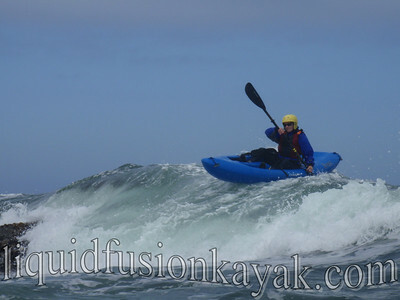 We ride No Name in both our sea and whitewater sea kayaks. 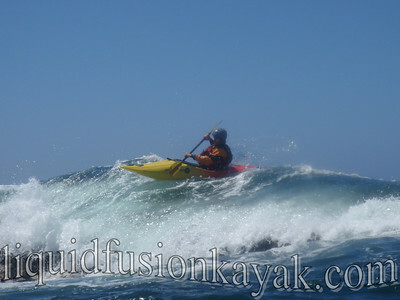 Last summer Jeff and I first rode No Name in a tandem sea kayak. We are open to suggestions or No Name shall remain Nameless. 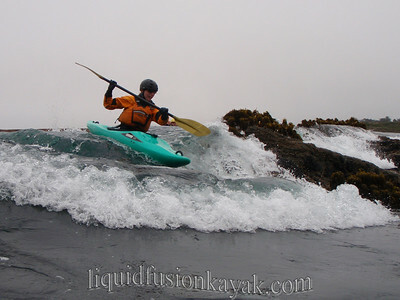 Forwards, Backwards, or Sideways . . . No Name . . . but always a great ride . . .